From his crackdown on domestic opposition to his decision to invade Crimea and bomb U.S.-backed rebels in Syria, Vladimir Putin has increasingly become a thorn in the side of Western policymakers. 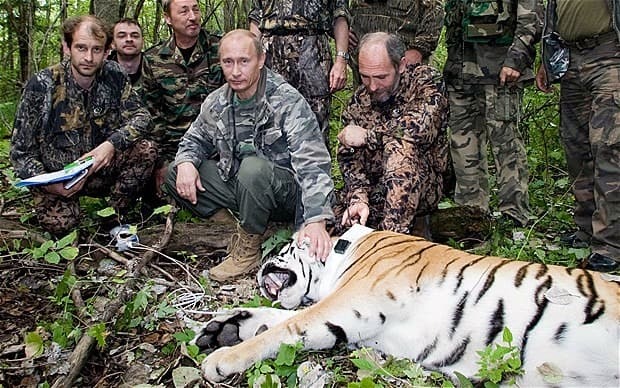 His aggressive policies combined with his KGB background and over-the-top machismo have made him a bigger-than-life figure on the world stage, despite Russia’s flagging economy and declining population. And yet, in his early years on the political stage, Putin did not stand out as a “rising star” whose rise to power was somehow preordained. Many in the U.S. government saw him, during his stint as Deputy Mayor of St. Petersburg, as someone who was tough on crime and potentially helpful to U.S. interests. 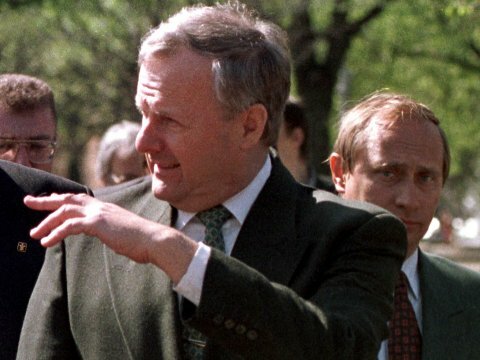 After Putin’s unforeseen rise to the presidency in May 2000, President George W. Bush famously said in June 2001 that he had looked in Putin’s soul and found him trustworthy. Though Bush was later criticized for the remark, Putin was cooperative in the immediate aftermath of 9/11. His vigor, sobriety, and firm hand stood in stark contrast to the intoxicated chaos of Boris Yeltsin and he became very popular among the Russian populace. The honeymoon with the West faded as Putin’s rule became authoritarian and his foreign policy more confrontational. Thomas Pickering was Ambassador to Russia from 1993-96. John M. Evans served in the Department’s Bureau of Intelligence and Research (INR) for Russia and the Former Soviet States from 1999-2002; and as Director of the Office of Russian Affairs from 2002-2004. David J. Kramer served in the Office of Policy Planning for Russia and Eurasia from 2003-2005 and later as Assistant Secretary for the Bureau of Democracy, Human Rights, and Labor (DRL). They were all interviewed by Charles Stuart Kennedy, Pickering beginning April 2003, Evans in October 2009, and Kramer in January 2011. Go here to read other Moments on Russia/Soviet Union, including Russia’s role in Transnistria. PICKERING: Putin was Deputy Mayor of St. Petersburg to Anatoly Sobchak when I would go to St. Petersburg maybe three, four, five times a year. I would always try to call on Mayor Sobchak. If Sobchak wasn’t there and he wasn’t there on at least a couple occasions, Putin would sit in for him. So I would go up and we would have a chat in one of the mayor’s conference rooms. Putin was in those days, I think, very circumspect, very quiet, not very forthcoming with what he had to say. I suppose what one could have said — you know, [he’s the] kind of typical intelligence agent to talk to a foreign ambassador — he answered questions — I suspect not as fully as we would have liked. We all saw him as basically a kind of former KGB guy from a European posting who had come back and done reasonably well. His approach to things was in those days was that he aligned with a liberal constitutionalist, Anatoly Sobchak, who was at heart a Jeffersonian and as a result was “part of the reform movement”. There were others in the consulate who had suspected that, in fact, he was also the source of major harassment of the consulate. We were never able I think, quite clearly to pin it on Putin, although he seemed to be the highest-ranking guy from the old bad days still around. So more fingers were pointed toward him than I think probably evidence justified at the time, although there were people in the consulate who swore he was, in fact, the root cause of all of their difficulties and even in those days felt that he was “a bad actor.” My conversations with him didn’t give me any feeling one way or other, he didn’t say much…. He didn’t seem like a rising star…although people said that he was capable. People in the Western business community said that he was not a problem for them, that he helped them on occasion, and that he had not made noises about being paid off or anything of that sort, which sometimes was the major interest of people at Putin’s level on the bureaucracy in those days. EVANS: I guess 1996 was the real spike of oligarchic power, coinciding with [Boris] Yeltsin’s election in 1996. That was also the year in which Mayor Sobchak ran for reelection in St. Petersburg; Vladimir Putin, his deputy, ran his campaign, and another one of the Deputy Mayors bolted from the Sobchak camp and opposed him. This was Vladimir Yakovlev. He was accused by Sobchak and Putin of stabbing Sobchak in the back but in the end Sobchak lost and it was that loss that precipitated Vladimir Putin’s eventual move to Moscow. When Putin was Deputy Mayor — and he was first Deputy Mayor in St. Petersburg — one of the things he did was to deal with the very serious problem of organized crime in St. Petersburg. We had a young officer who was very good at getting just one degree away from some of these criminal figures and finding out what was going on, and there was a big battle among crime groups in the St. Petersburg region for control of territory and assets, and during Putin’s time that was at least controlled and brought to a tenable position. 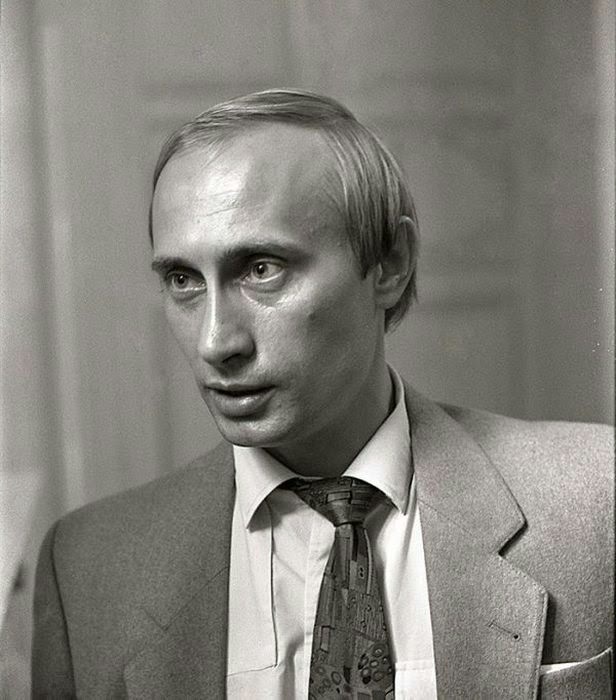 Putin emerged as very much a crime fighter in those days…. But I want to mention another thing. The most interesting Russian politician to come out of St. Petersburg, of course, was Vladimir Putin. As Deputy Mayor I mentioned that he was primarily a crime fighter and on one occasion we had some young Americans from California who had invested in a restaurant operation at a very nice location on the Nevsky Prospekt in St. Petersburg and their Russian partner, after a certain time, decided that he didn’t need the Americans, he had learned how to run the business, had all the know-how and locked the Americans out and then threatened them with serious harm. These Americans fled, literally pursued by a Mafia SUV and found refuge in our consulate building. And that was one occasion when I had to call Vladimir Putin on the phone and ask for his intervention, and he did intervene. I think the most important thing about St. Petersburg in those years was that we did know Vladimir Putin and although he had no pretensions, no hopes, no plans to ever become Prime Minister or President of Russia, it was really this…the fact that he had to leave St. Petersburg, he was taken to Moscow, and came to the attention of Boris Yeltsin and that’s what led Putin to be named Prime Minister in 1999. And then of course we all remember on New Year’s Eve of the millennium, Boris Yeltsin abdicated and asked Vladimir Putin to be candidate for the presidency of Russia…. I remember taking Ambassador Pickering to visit him once and probably DCM [Deputy Chief of Mission] Jim Collins as well. But we knew him; we had a much better impression of Putin than other people did because he had helped us out in these situations where the Mafia was going after our investors and we saw him as a crime fighter. He was not one of those who had lined his pockets, so far as we knew, by his involvement in official affairs. He had a very modest dacha; actually, his dacha burned down during those years but he was not seen as one who had robbed the state treasury on his own behalf. He was very modest. He also was a fanatical adherent of a Russian form of judo and there’s a whole philosophy that comes with this type of judo; it’s a philosophy derived from Eastern rituals and so on in which the contestants are very respectful of each other, they always bow to each other, and the trick is to use the weight of your opponent and the strength of your opponent for your own ends. And it also goes with a philosophy of…almost an ascetic philosophy in which one does not drink to excess; one is always in control of one’s physical and mental being and so I think these characteristics have come through in Putin’s presidency and [then] prime ministership. I mean, his athleticism, going out to Siberia and anesthetizing a tiger as he recently did, and flying down to Chechnya as he did on the first night of his presidency to thank the troops, going out on a submarine. 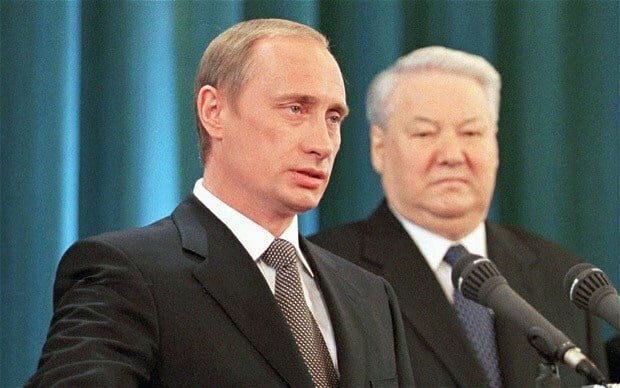 In contrast to the old sort of bibulous Yeltsin who was seen as a kind of an old fool, a clumsy old fool in his later days, Putin was sharp, he’s well spoken, he’s focused, he does not drink. My wife observed this very carefully; he is not a teetotaler but he tends to just take a sip. He doesn’t mind anybody else drinking but he is not a boozer and he seems to have acquired a taste for beer while in Germany rather than just the Russian staple of vodka…. [A] couple of weeks before the new president, President George Bush, met Putin for the first time in Ljubljana, Slovenia, I found myself writing a memo entitled “Vladimir Putin: a Heterodox View,” because all the briefing materials were very critical of Putin for one reason or another, that he wasn’t of sufficient stature, that he was transitional, that he was ex-KGB and on and on and on. And I wrote this memo trying to make the point that Putin was not transitional, that he was a serious figure, that he was a man who believed in keeping his word and that he was well spoken and so on and so forth. Now, I distributed that memo to the White House and CIA and Defense Department. I had dealt with him perfectly effectively and satisfactorily in St. Petersburg; he had pulled some of our chestnuts out of the fire; he was not anti-American; he was not a Communist; he was for a new Russia; and George Bush also sensed this was a guy he could deal with. Because of the nature, the concentrated personal nature, of the Russian regime, the fact that Vladimir Putin was really in charge at that time, he was a president with very high popularity, and because he liked George Bush personally, they got along well, they both had teenaged daughters. Putin, I think, won George Bush’s heart by showing him the cross that he wore around his neck that his grandmother had had blessed in Jerusalem. So there were these connections and I think, despite Russian public opinion, which was getting more and more anti-American and had, during the Serbian war, turned a lot of Russians away from better feelings towards America, that Putin was sure that he and George Bush were going to have a great relationship and I think that made a difference in the case of Russia. 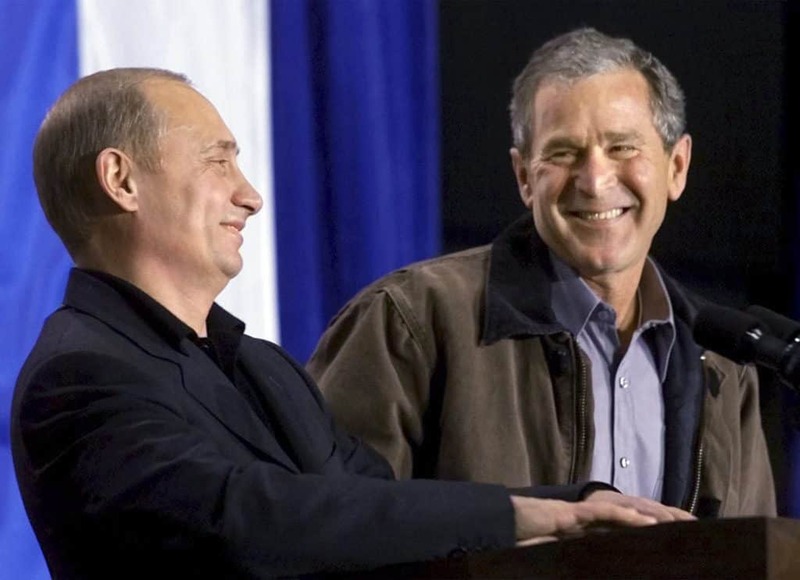 And because Putin was perhaps a bit blunt but at least played it straight with George Bush and George Bush was the kind of man who appreciated straight talk, the Russians came out of it fairly unscathed in that sense…. You know, we were always, it seems to me, in an expectation of disaster because with the news from Russia one never knows. But I felt, actually, that we kept things pretty well balanced during those years, that even if it was only George Bush and I who had a positive view of Mr. Putin, that was maybe enough. And that we were getting along alright. After 9/11 when Putin called and offered to help, there was a good long period during which we tried to work together on terrorism. But that effort foundered on, first of all our inability to see the Chechens the way the Russians saw the Chechens. I think we lied to ourselves to a certain extent about the extent to which jihadists from as far away as Afghanistan were participating in the Chechen separatist movement and some of them had been trained in bin Laden’s terrorist camps and some of them were clearly terrorists. The worst thing that happened on my watch was no doubt the seizure of [the Dubrovka theater ] in Moscow by Chechen terrorists [on October 23, 2002]. A children’s theater with a pretty big audience there, and then the Russians tried a tactic — they put some kind of a soporific gas into the auditorium, hoping to put everyone to sleep and then pick out the bad ones and revive the innocent. But it went badly awry with a couple dozen people killed, including the terrorists. But it of course was very poorly received here and we did have consultations with the Russians in which they didn’t tell the truth, didn’t come clean about what they had done and that of course was very bad for the climate…. Another event took place during the first weeks of the invasion of Iraq and that was that, one way or another, a column of Russian diplomats trying to evacuate from Baghdad came under fire and in this case people were hurt, and we got in to a big argument with the Russians, with the Pentagon saying that they had been warned not to take a certain road but instead to take another road, they had disobeyed their instructions and that’s why it happened and that’s all we’re going to say about it. Now, the Russians came back again and again and again, asking for more clarification of what had happened and why; we did not give it to them. By this point it was our sense in the State Department that foreign policy had been taken over by the Pentagon. We could not get the answers that we needed to provide to the Russians. 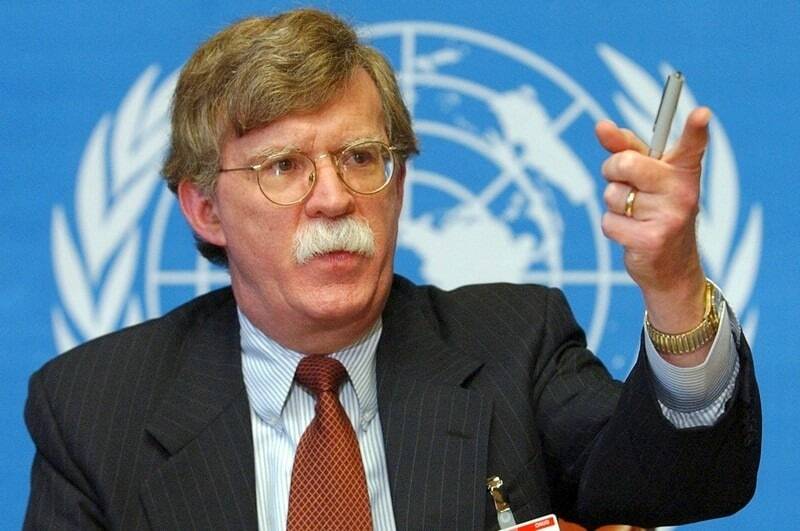 And yes, the one personality, John Bolton (pictured), had been brought into General [Colin] Powell’s State Department against his will, apparently. He was not Powell’s pick to be Under Secretary for Security Affairs but Bolton was advocating policies that put us at loggerheads not only with the Russians but virtually with the rest of the world. They included his advocacy of a very aggressive seizure policy on the high seas, which the Russians did not agree with. We, of course, took our signature back on the statute of the International Criminal Court so as to shield our own warriors and contractors from any danger of being hauled into court by another country, and of course we had taken back our signature also on Kyoto [Protocol on Climate Change]. So altogether the policies of the Bush Administration gradually wore down that initial trust that Vladimir Putin and George Bush had had at the beginning, and, although they still speak kindly of each other, that personal relationship was not strong enough to hold back the resentment that grew at Washington’s ignoring of Russia’s interests. KRAMER:. Bush invested a fair amount of time in developing his relationship with Putin. I do think that the arrest of [Mikhail] Khodorkovsky in October of 2003 did have an effect on Bush’s perception. 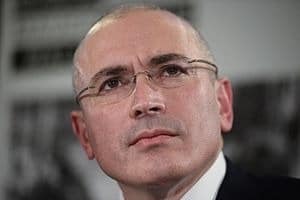 Khodorkovsky (pictured) was the richest Russian oligarch. He had acquired assets in the 1990’s through what’s called Loans for Shares. He became very rich. He ran the Yukos Oil Company. In the period when Putin became President he tried to launch reform of the corporate community and he was also talking to people in the opposition. He was talking about selling a stake in his company to foreign investors. He was talking about building a pipeline to Asia. 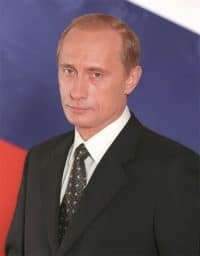 He was rather defiant of Vladimir Putin and to make a long story short for probably a number of reasons, Putin decided in October 2003 to arrest him. He was seized on his own private jet with guys with guns boarding his plane, thrown in jail and has been in jail ever since. He has been convicted now twice on charges that many people think are rigged through a court process that many people think has been fraudulent. In October 2003 when he was arrested, I would say that was an eye-opening experience for people in the administration. I think it showed them that dealing with Mr. Putin meant that it was not going to be all love and kisses. Russia, of course, was important because of its opposition to the war in Iraq and so trying to deal with the after effects of that. It was important as the President started thinking about further enlargement of NATO and it was important when the President was also dealing with missile defense and trying to create a missile defense system. Lastly, it was important when it came to Iran…. I think there was a tendency to inflate Russia’s importance in that whole period. That may not have been a very healthy thing to have done.